Hard to tie in all the words: Elsie, Mirasol. Jaylo, Willy, WVJ, Marlboro and Hangover. At the least, safe to say, the owner loves to smoke and drink. THE "MARLBORO" name and colors on the panel board. 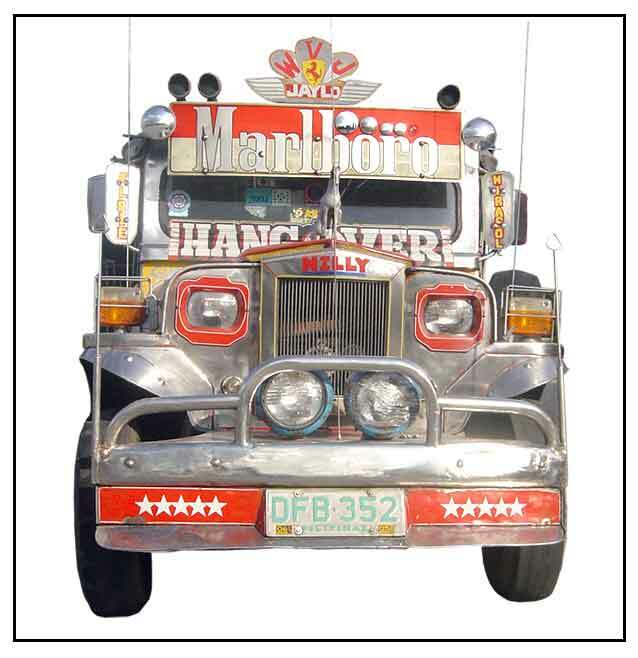 Often, the names and logos of commercial products are blazoned on the jeepney just because it's the owner's favorite brand, providing free advertising.